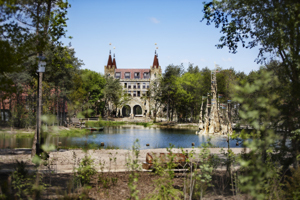 Immerse yourself in the enchanting fairytale world of Efteling at Efteling Village Bosrijk, crowned the Best holiday park in Holland for the third year running. Efteling Village Bosrijk also won the award for the Most atmospheric holiday park and offers guests luxury holiday cottages, beautiful surroundings and proximity to one of the best theme parks in Europe. The holiday park covers 16 hectares of beautiful landscape, characterised by rich woodland, meandering streams and impressive dunes. At the heart of the holiday park is a tranquil lake, where visitors can relax and soak up the atmosphere. invited to rate and review their experience, including the accommodation, the surroundings and the activities in the area. Awards are calculated according to these ratings and based on 20 different categories, from Most Luxury Holiday Park to holiday park with the Best Value for Money. For the third year running, Efteling Bosrijk has taken the crown for the Best holiday park in Holland, with reviews from guests including comments such as “luxury cottages with excellent service from staff” and “a truly magical experience.” This year, Efteling Bosrijk’s rating increased from 8.7 to a phenomenal 8.8, demonstrating the park’s continued effort to offer the best service to their international guests. 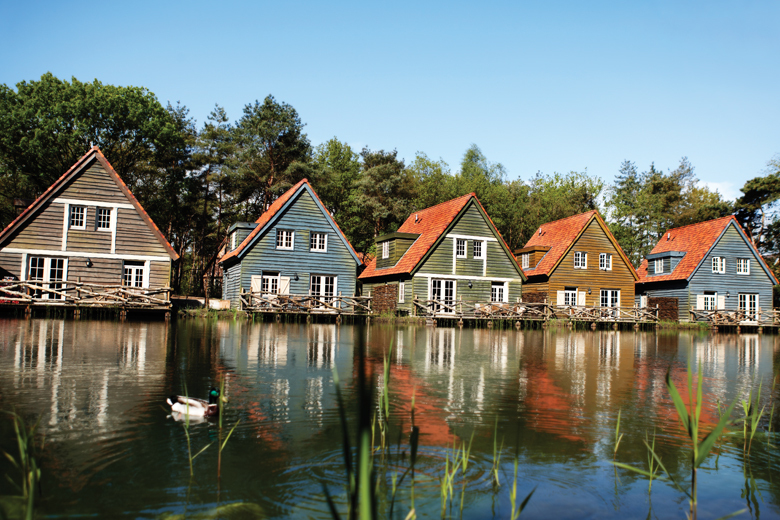 The self-catering accommodation is situated on the edges of the Loonse and Drunense Dunes, visitors can reach Efteling theme park in a matter of minutes. h the woods will take you to the magical fairytale world of Efteling Theme Park. This unique park is a truly immersive experience for all ages and has gained a legendary status in Europe. With white-knuckle rides, captivating dreams and wondrous tales, Efteling is sure to get the whole family’s imaginations roaming. Take a stroll through the Fairytale Forest, featuring all of our favourite childhood characters, or visit the Droomvlucht, where you can float through the world of elves, trolls and fauns. For the daredevils in the family, there are plenty of options to get the adrenaline pumping. The Fata Morgana takes you on a mysterious boat trip through a forbidden city, while Joris en de Draak invites you to experience a double-track wooden racer rollercoaster. Yikes! Europe’s largest water show is a breathtaking conclusion to a family day out at the Efteling. While you’re here, the Ravelijn show is an absolute must. This captivating show features live horse riders, flying ravens and sword fights! For visitors from the UK, Efteling couldn’t be easier to reach. 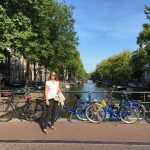 You can take the ferry crossing from Dover or Hull, fly from London to Eindhoven or pick one of the many other available travel options. 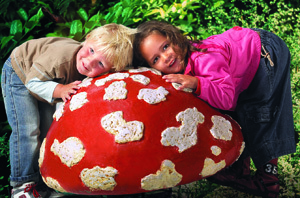 Have a look at our current specials for Efteling Village Bosrijk and enjoy a wonderful fairytale-themed getaway. By all means, check out our other award winning holiday parks!